LINCOLN, NE: Auction Location: Auction will be held at the Best Western Plus Lincoln Inn & Suites at 2201 Wildcat Circle in Lincoln, NE. This Unique Development Property offers the Buyers so many possibilities for Commercial & Residential Development! 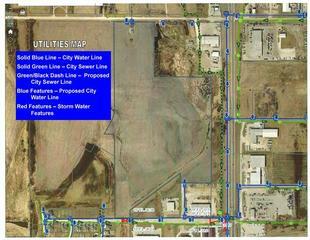 City Water & Sewer Lines are already in place on the South Boundary of the Property, City Water Lines are already in place as well along the East Boundary and proposed City Water Lines are in along the North Boundary and City Sewer Lines are proposed along the East Boundary of the Property as well. 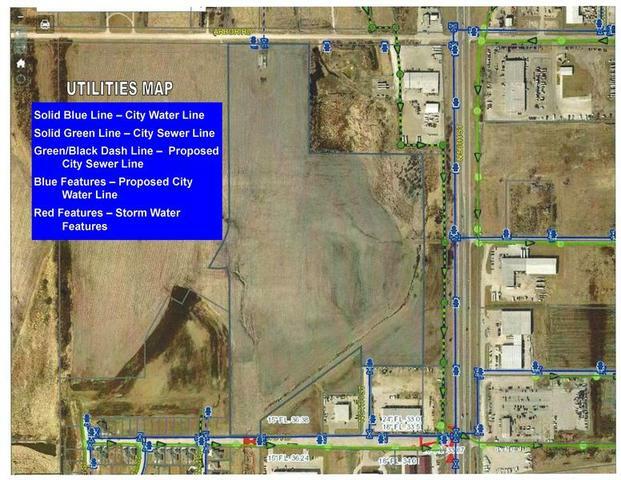 Paved City Streets are already in Place along the South Boundary of the Property, Highway 77 (North 56th Street) is along the East Boundary of the Property and Arbor Road (Currently in gravel) is along the North Boundary of the Property. Interstate 80 is just ¼ mile North of the Property as well for Terrific Access to the major Interstate Artery through the State of Nebraska going East & West! Access to the Property would be excellent all year Around! Commencing at the Southwest corner of said SE ¼ of Section 29; Thence on the west line of said SE ¼ of Section 29, N00°13’28”W, a distance of 2585.79 feet to a point on the south right-of-way line of Arbor Road, 50.00 feet south of the north line of said SE ¼ of Section 29; Thence on the south right-of-way line of Arbor Road, S89°29’21”E, a distance of 1120.06 feet to the POINT OF BEGINNING; Thence continuing on the south right-of-way line of Arbor Road, S89°29’21”E, a distance of 530.37 feet; Thence S00°02’47”E, a distance of 709.79 feet; Thence S89°27’10”E, a distance of 898.65 feet to a point on the west right-of-way line of North 56th Street; Thence on the west right-of-way line S00°54’35”E, a distance of 549.84 feet; Thence continuing on the west right-of-way line S00°42’23”W, a distances of 824.15 feet; Thence N89°37’24”W, a distance of 556.54 feet; Thence N00°22’36”E, a distance of 123.60 feet; Thence S54°15’01”W, a distance of 818.86 feet; Thence S00°06’20”E, a distance of 100.33 feet; Thence N89°37’24’W, a distance of 197.99 feet; Thence N00°13’31”W, a distance of 1034.46 feet; Thence N13°44’12”W, a distance of 60.00 feet to a circular curve to the right, having a radius of 270.00 feet, a central angle of 26°05’57” and whose chord (121.93 feet) bears S89°18’47”W; Thence on the arc of said circular curve 122.99 feet; Thence N29°46’29”E, a distance of 189.00 feet; Thence N22°17’55”E, a distance of 85.43 feet; Thence N05°52’29”E, a distance of 82.05 feet; Thence N00°13’31”W, a distance of 1131.17 feet to the POINT OF BEGINNING and containing a calculated area of 2,527,823.1 square feet or 58.03 acres. 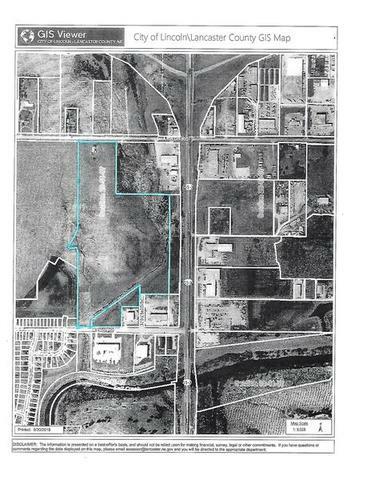 LEGAL DESCRIPTION: Lots 1 & 3, Block 2, Finigan Brothers Addition, located in the Southeast Quarter of Section 29, Township 11 North, Range 7 East of the 6th P.M., Lancaster County, Nebraska, containing approximately 3.52 acres, more or less. LEGAL DESCRIPTION: Lots 4, 5, 6, 7 & 8, Block 4, AND Lot 1, Block 5, AND Lot 1, Block 6, AND Lots 1, 2, 3 & 4, Block 7, AND Lots 1, 2 & 3, Block 8, AND Outlot B (Marked “Detention Area” on Preliminary Plat), Finigan Brothers Addition, located in the Southeast Quarter of Section 29, Township 11 North, Range 7 East of the 6th P.M., Lancaster County, Nebraska, containing 16.7 Acres, more or less. LEGAL DESCRIPTION: Lots 1, 2 & 3, Block 4, AND Lots 1, 2 & 3, Block 3, AND Outlot D (Marked “Detention Area” on Preliminary Plat), Finigan Brothers Addition, located in the Southeast Quarter of Section 29, Township 11 North, Range 7 East of the 6th P.M., Lancaster County, Nebraska, containing 11.5 acres, more or less. 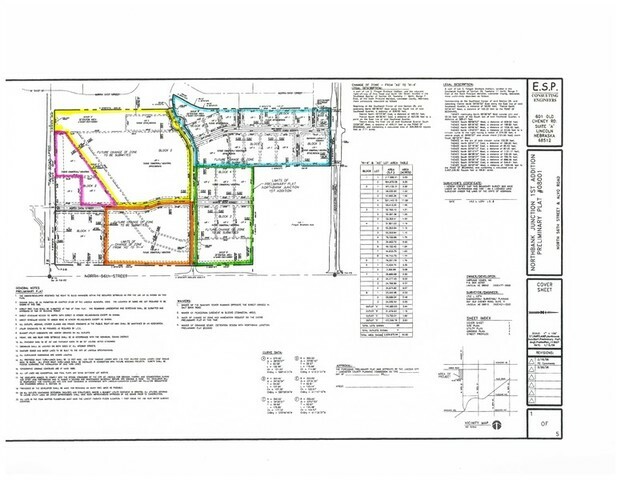 LEGAL DESCRIPTION: Lot 2, Block 1, Finigan Brothers Addition, located in the Southeast Quarter of Section 29, Township 11, Range 7 East of the 6th P.M., Lancaster County, Nebraska, containing 10.4 acres, more or less. LEGAL DESCRIPTION: Lots 4 & 5, Block 2, AND Outlot C w/Blanket Utility Easement, AND Outlot A (Marked “Detention Area” on Preliminary Plat) w/Blanket Utility Easement, located in the Southeast Quarter of Section 29, Township 11 North, Range 7 East of the 6th P.M., Lancaster County, Nebraska, containing 19.5 acres, more or less. ** All Legal Descriptions are subject to official descriptions by the Lancaster Planning & Zoning Commission. 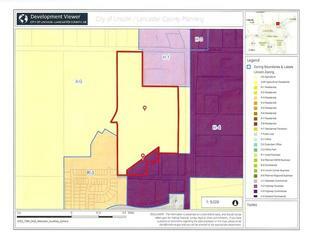 TERMS OF THE AUCTION: An Earnest Deposit of $ 50,000.00 per Tract will be due on Auction Day. The balance will be due on all Tracts on/before January 5, 2019. Title Insurance and Escrow Closing Fees will be divided equally between Buyer and Seller. Marketable Title will be provided. SURVEY: A Boundary Survey will be completed prior to closing on the Tracts with the cost shared equally between Buyers and Seller. 1031 TAX EXCHANGES: 1031 Tax Exchanges are welcome. Prospective Purchasers desiring to do a 1031 Tax Exchange are encouraged to Contact the Auction Company prior to the Auction to make arrangements. POSSESSION: Full Possession of all Tracts will be given to new owners on March 1, 2019 (Tenants farming rights expire on February 28, 2019. AGENCY DISCLOSURE: All Agents of Jack Nitz & Associates are Agents of and Represent the Seller. AUCTIONEER’S NOTE: Make your plans to attend this Interesting Auction. The Opportunities abound with this Property in a Highly Visible Location with a Great Location only ¼ mile from I-80 and frontage on 3 Boundaries! For Additional Information, Title Search, Brochure or Questions, Please Contact the Auction Company or visit the website at www.nitzauctions.com.